A shot of the pond in September, 2000. 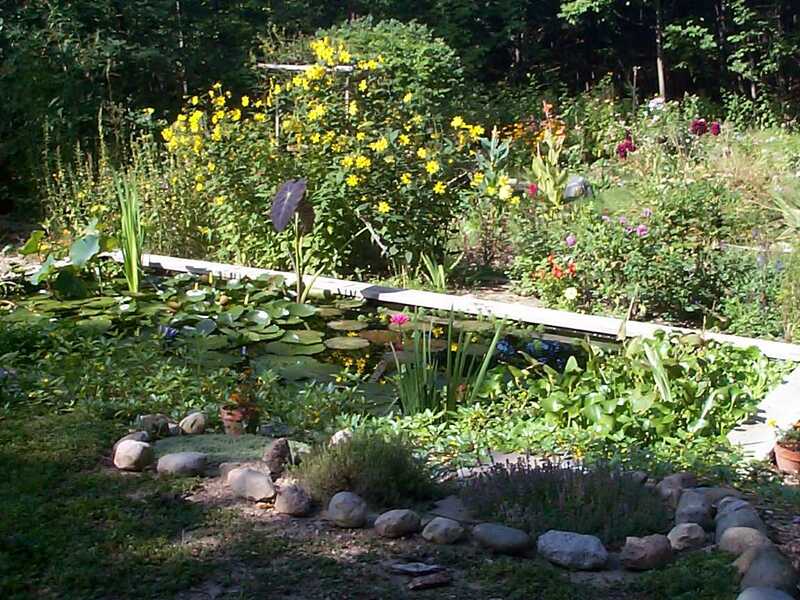 The wonderful thing about ponds is that all the plants are in containers under the water. That means that I can re-arrange them at will if I don't like the placement. So, next year may be very different.